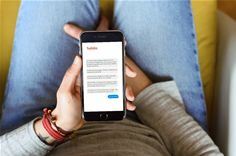 12 September 2016: UK tech startup, habito, has launched the world’s first artificially intelligent Digital Mortgage Adviser (DMA) allowing millions of consumers to discuss their mortgage needs from any connected device, 24/7, without requiring a human broker. Built using AI technology and habito’s market-leading algorithm, the DMA marries all the elements of a customer’s financial life (e.g. employment, salary and personal life plans) with real-time market mortgage rates to calculate an indicative monthly payment. The DMA explains the impact consumers’ decisions will have on each mortgage configuration as a traditional mortgage broker would, but in a fraction of the time (average 10 minutes). Habito has the ability to search hundreds of products (versus a handful), so once the advice is complete consumers can be sure they’re on the best mortgage for them, which can result in savings of thousands of pounds per year*.